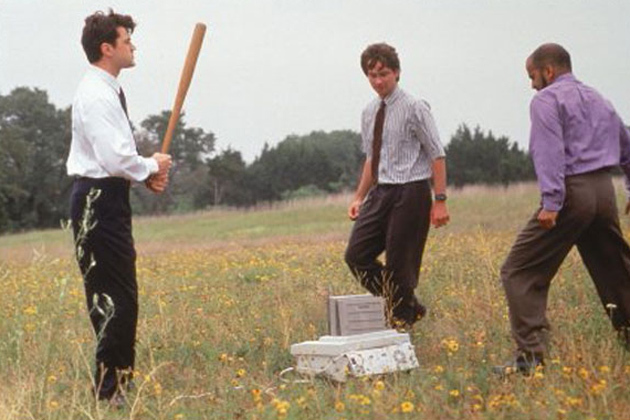 A friend complained to me about the succession of problems with her printer. It was when she started telling me how important her printer was to her that I began to reflect on the insightful, if cynical, observation by Orwell’s donkey. Who knew he was a systems analyst? When dinosaurs roamed the earth and I was a young systems analyst, courts were just learning that unless printers were made readily available, users simply would not use them as intended. Eventually, courts figured out that if people had the choice of electronically creating their output, followed by having to leave their desks to go to a printer down the hall to retrieve it, they’d simply write it out or type it instead. Thus court management (reluctantly, in view of the price) purchased and installed a lot more printers because of the strategic importance of getting everyone to maximize use of the systems. Now, every tech support person knows that printers, however necessary, are the Devil’s work. Trouble tickets regarding printers are probably more frequent and more frustrating than just about any other kind. But, thank heavens everyone has those printers. Because they need those printers for… for… Well, yes, there are some things they need the printers for; but they sure aren’t the same things they needed them for 20, ten, or even five years ago. The fact is that managing content electronically changes both the tactical and strategic importance of printers. Courts should give some attention to both. Tactically, it’s almost like Benjamin gets his wish for no more flies. Or at least a lot fewer of them. Thus, every printer acquisition and placement should be made in view of the need to print in a court with fully implemented Electronic Content Management (ECM). Analysis will probably show need for fewer, less powerful (at least locally), and less expensive printers. Acquisition and maintenance cost of printers should be expected to drop. Strategically, the objective should be to have the minimum possible distribution of printers. Simply stated, minimizing the amount of paper documents goes a long way toward maximizing the effectiveness of ECM. In instances where printing a document may appear to be a better, faster, easier or more efficient, the court should stop and more carefully analyze the situation. Pete Kiefer, of Maricopa County Superior Court and leader of NACM’s Court Futures project, reminds me that that in cases such as this, application of The Five Why’s would be in order: Asking iterative questions to get to the root reason(s) for the perceived situation. For a first iteration I suggest, “What causes printing a document to seem a better solution in this case?” Almost always, upon consideration of all factors, printing paper documents turns out more expensive, less efficient and disruptive to the overall process. Whether, in the face of a 95% plus drop in the fly population, Benjamin (curmudgeonly cuss that he was) would actually have had his tail bobbed, one will never know. If he resisted for fashion reasons, absent other consequences he could be given a pass. But if it markedly impacted his personal hygiene, bring on the clippers. Likewise, if the only consideration with where and how to use printers were people’s comfort with paper, so be it. But, really, the stakes are much more strategic.